It's the only stadium to reach this year's podium in BOTH votes, which itself deserves recognition! After all, great reception by both fans and experts is a rare treat. 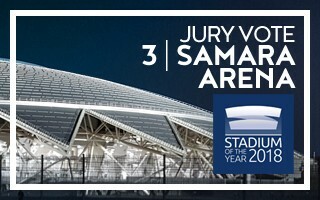 Samara Arena lost the Jury Award very slightly, you might be shocked! 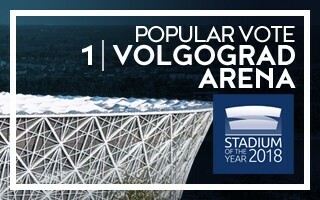 07.03.2019 Stadium of the Year: Popular Vote – WINNER Volgograd Arena! Standing proudly beside the Mamayev Kurgan, this stadium had to be built with respect for its historical location. But it was most importantly built in a satisfying way for locals, who showed (also proudly!) 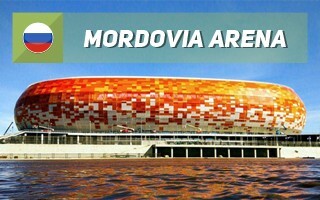 their devotion towards Volgograd Arena. 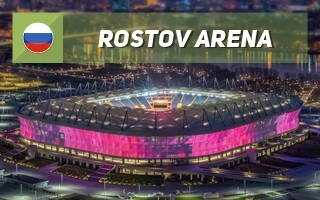 Annual maintenance cost of Rostov Arena will be very significant, expected to reach 330 million rubles. Until the end of 2023 almost all of the cost will be covered by Russia's federal budget to take burden off of the Rostov region. Heavy rainfall washed away part of the public concourse around Volgograd Arena. The damage is significant, but is also assured to be repaired without burdening taxpayers. 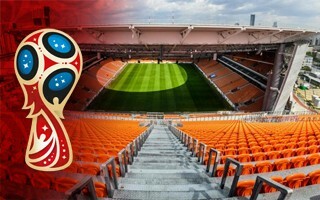 According to official data the World Cup managed to break 3 million spectators, but we argue that attendance data has been inflated. 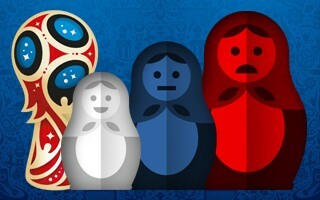 Even by FIFA's count, it was the smallest World Cup since 2002. Why? 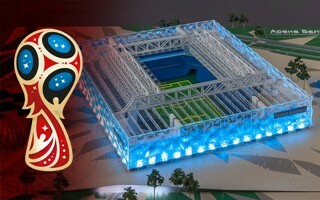 Stadia of this year's World Cup on average became a couple times more expensive between proposal and delivery of the actual building. But each case is different: some are commendable, some pathological. Yes, Saint Petersburg, that's about you. 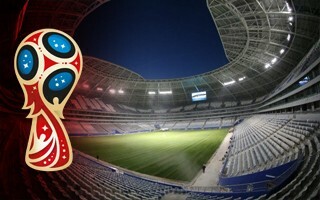 When their bid was evaluated by FIFA, Russia pledged to build the 12 host stadiums for $2.8 billion. They ended up with almost $5 billion spent and only because their currency collapsed, causing favourable exchange rates. In rubles the price has actually tripled! 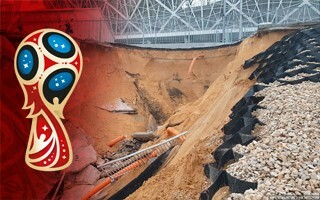 The World Cup is over for them, now Samara Arena is facing the challenge of daily operation. And it's quite a big one, this stadium is among the most expensive in terms of annual maintenance cost. 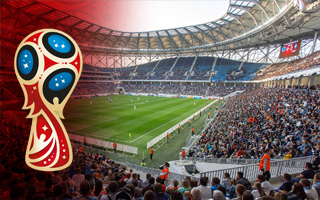 Not unlike other huge stadiums built for the World Cup, Volgograd Arena will require federal subsidies not to generate a huge hole in the region's budget. At least in its first operating years. 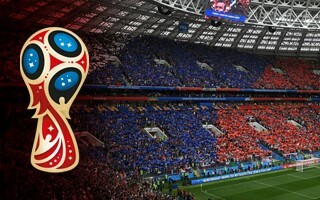 26.06.2018 Russia 2018: Your World Cup moments on StadiumDB! 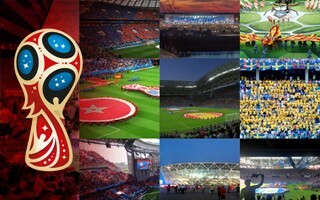 So many fantastic games, festive atmosphere, sell-out crowds and iconic stadiums. And you, at the very heart of the World Cup. You can help us recreate the atmosphere by sharing your photos, which would decorate our tournament section. 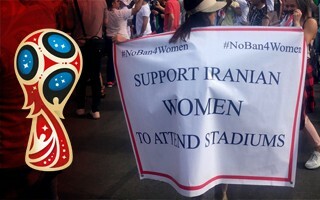 While women in Iran were allowed inside Azadi Stadium to watch the World Cup game live with their male counterparts, in Russia women with banner supporting their right to watch football had trouble getting inside. 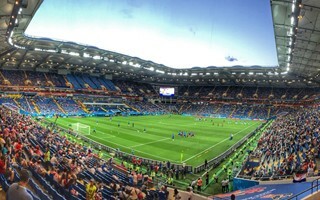 The westernmost city of this year's World Cup was supposed to receive a stadium with retractable roof and possibly the most versatile facilities. But that just didn't happen. Why? 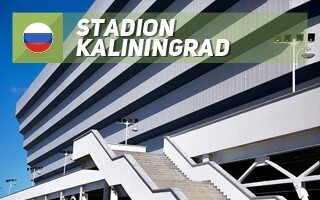 The operation of dismantling temporary stands at Ekaterinburg Arena will begin before FIFA officials leave Russia. 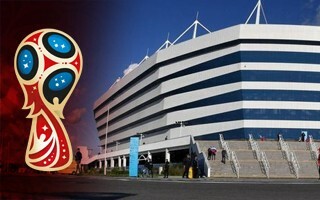 Between July and November the stadium will see capacity decrease from 33,000 to 23,000. It's the single last stadium we've been missing before the 2018 World Cup. It may also be the least impressive stadium, despite a very considerable budget. It comes alive at night, though, when the facades change into a giant screen. It's been one of the most changed stadiums of the World Cup. What we see built is already the 4th concept applied for the Oktyabrsky Ostrov site. The most modest one, but still likeable. The concept behind it is fascinating. 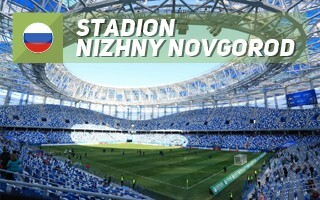 Due to cost-cutting it wasn't implemented as planned, but still the new Nizhny Novgorod stadium is one-of-a-kind. Now the question is: will it generate enough revenue? Many found it hard to believe that the football-crazy Krasnodar didn't make the list, while obscure Saransk did. But when other cities didn't even have renderings, Saransk already had construction ongoing. Enough to strengthen Russia's World Cup bid. 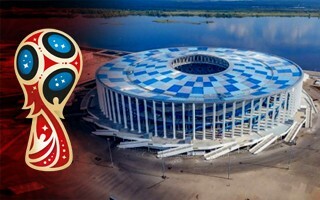 In all sincerity, it's one of our favourite stadiums of the World Cup. Almost unchanged despite cost-cutting, delivered with disciplined time frame and budget, beautifully located. 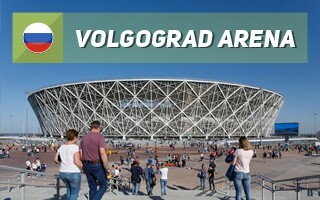 Sure, not flawless, but Volgograd Arena is ready to amaze visitors!